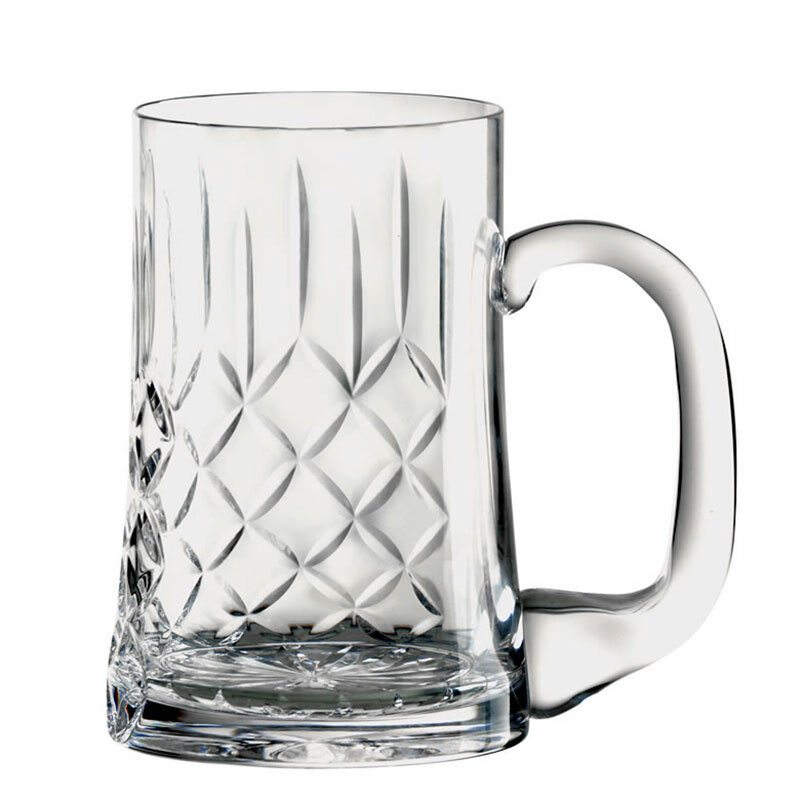 A quality lead crystal pint tankard with cut decoration and a blank panel for engraving. Offered with low, fixed cost text engraving and free logo engraving. Optional presentation box available.